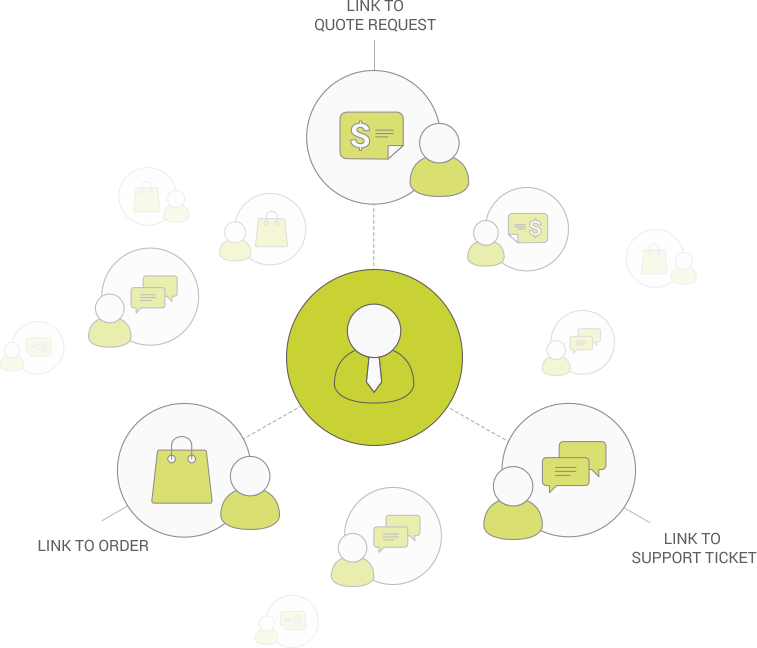 Personalize the sales cycle by assigning salespeople to Orders, Quote Requests, and Product Questions. Improve the performance of your sales flow and create a personal shopping experience. 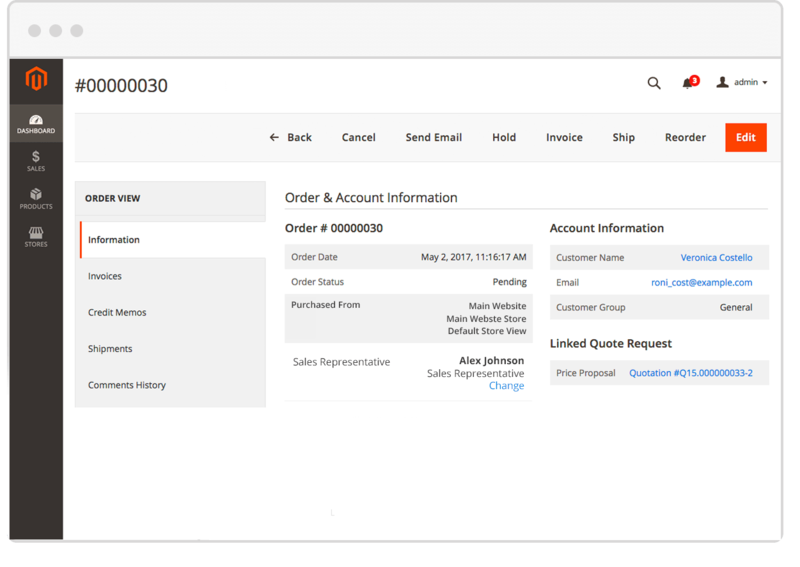 Link your Sales People to specific customer accounts and assign Magento Orders, Quotes and Opportunities automatically. 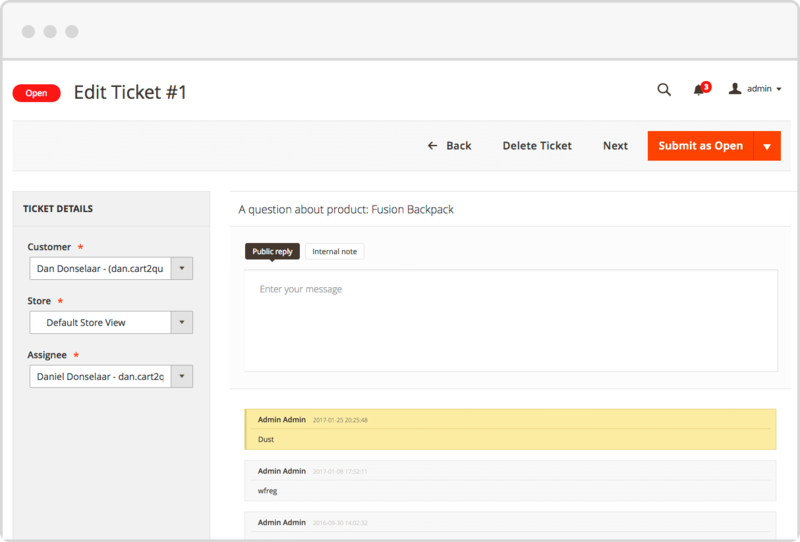 Your Admin users only see the orders, quotes and question of customers assigned to them. They will know exactly where they are responsible for. It will not only reduce time, it will also reduce confusion and misunderstanding between staff members. 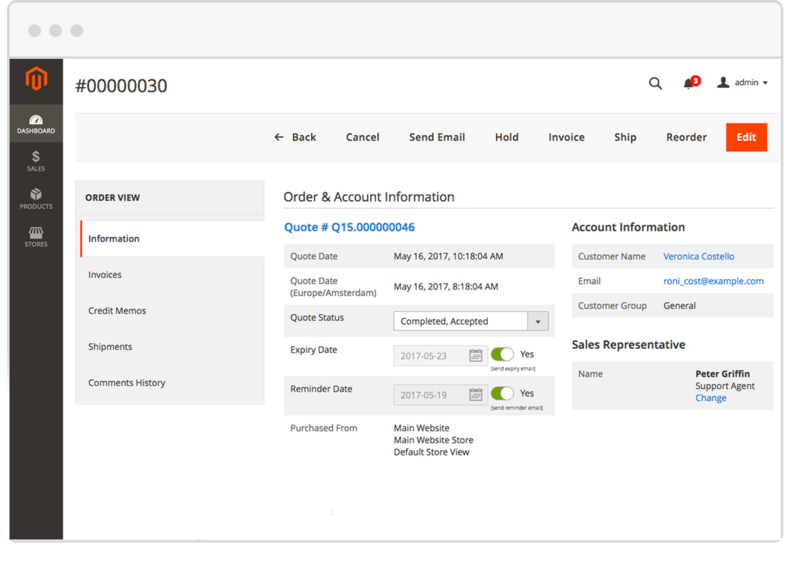 Easily assign salespeople to individual Magento Orders, Support tickets* and Custom Quote Requests*, or at once by linking a Customer Account to a salesperson. On a customer level, you can link a customer account to a Salesperson (Magento Admin User). After this is done all customer interactions: placing orders, requesting quotes or asking product questions are by default linked to the assigned sales person. Once a salesperson a linked to a customer account, all orders of that customer are by default assigned to the linked salesperson. Webshop administrators, however, can overrule the assignment manually for that order by selecting another salesperson from the list on the Magento order page. 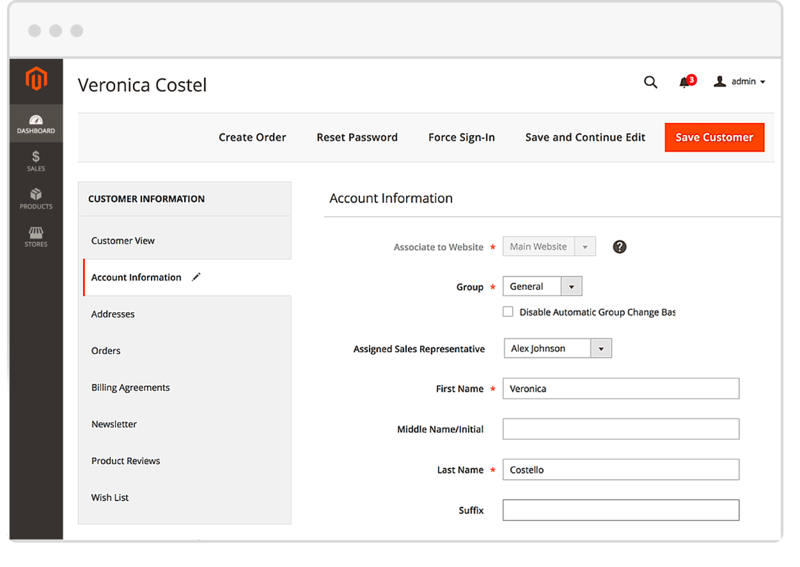 The linked salesperson will be automatically assigned to any submitted customer questions via the support forms in the Magento front-end. This sales rep will receive a notification whenever the customer submits a question or updates an existing communication thread. Note: The installation of the Customer Supportdesk module is required to activate this functionality. Besides automatically assigning Orders and Support Tickets to a salesperson, this Magento extension also assigns the salesperson to a quote request and sends the relevant salesperson a notification about this request. Just as with the assignment of orders and support tickets the administrator can overrule the automatic assignment and link another salesperson to a specific quote. And last but no least, the assignment of the salesperson will also be transferred to the order once the quote is converted to an order. This effectively enables business owners to accurately track the performance of their salesteam. Note: Cart2Quote for Magento 2 is required to activate this functionality.